An American Pastor in prison because he loves the Chinese church. Ten years in a dark place. 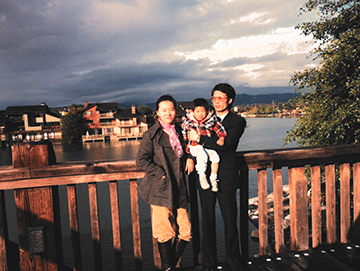 In 2006 Pastor David Lin, a U.S. citizen, was placed under house arrest and prevented from leaving China. At the time he was detained he was in the process of seeking government approval for his Christian ministry. In 2009 Pastor Lin, by now held in jail, was falsely accused of contract fraud. He was tried, convicted, and originally sentenced to life in prison. Following commutation and reduction, he is due for release in April 2030. Through it all, Pastor Lin has fiercely defended his innocence. Prison officials have repeatedly tried to force Pastor Lin to sign a false confession, but he has steadfastly refused. Pastor Lin is now sixty-four years old. For the past ten years, he has seen it as his calling to continue his ministry from prison, sharing his faith with inmates from over 30 nations. His family in the U.S. has remained silent out of concern that drawing attention to his situation could endanger Pastor Lin’s life. All that changed in late 2018. Pastor Lin sent his personal Bible—which has been his source of strength and help for over a decade—back to the U.S. Two months later, during one of his periodic phone calls with his family, Pastor Lin urgently asked them to help get him released. Family members suspect that Pastor Lin is being mistreated, possibly as part of the crackdown on church members that started in December 2018. They believe his life is in grave danger and they are appealing to the U.S. and Chinese governments for help to bring him home. Tell China to release Pastor Lin! We need to bring this American home. Pastor Lin is a U.S. citizen. He has a long track record of public service, stretching back to the 1990s when he served as an economic advisor to Iowa and California. Yet China sentenced him to life in prison following a show trial. His crime? Helping the Chinese church. Pastor Lin has already served more than ten years in a Chinese prison. Now Pastor Lin is over sixty years old, and his family believes that his life is in danger. It is past time to bring Pastor Lin home. A Life of Courageous Service.